On Saturday Keith and I went to see The Barbarians (an invitational international side) play Argentina at Twickenham. The Barbarians warmed up for the game in front of us going through their pre-match drills. 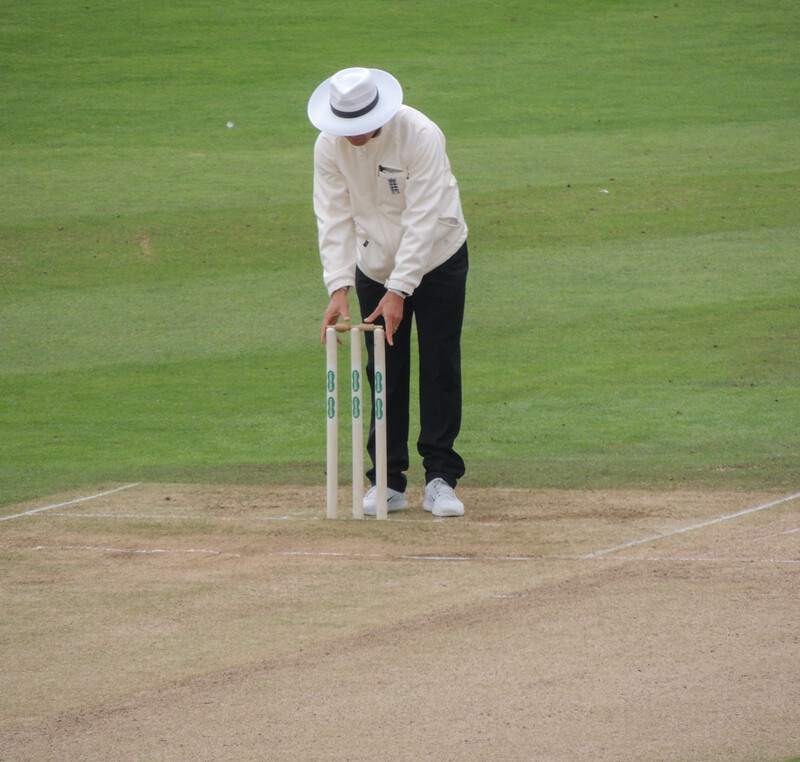 And then the match began. Barabarians score first but then Argentina score 4 tries and at the quarter the score is 28-7 to Argentina and we are thinking this is going to be a whitewash with Argentina possibly scoring 100 points if it carries on at this rate. But the Barbarians fight back and get a penalty try just before half-time. Now the game is really boiling and both sides are trying to play fast, attractive rugby. Barbarians score another try and get within 7 points. Argentina replies with a try of their own and gets a 14 point cushion but back came the Barbarians and score 2 tries to even the score with 2 minutes to go. Then Barbarians get the ball near the Argentina line and then it is shipped back to the fly-half who kicks for goal. The ground erupts as the kick flies between the posts! Now all Barbarians have to do is hold onto the ball until the clock runs out and this they do. A Great game of rugby. 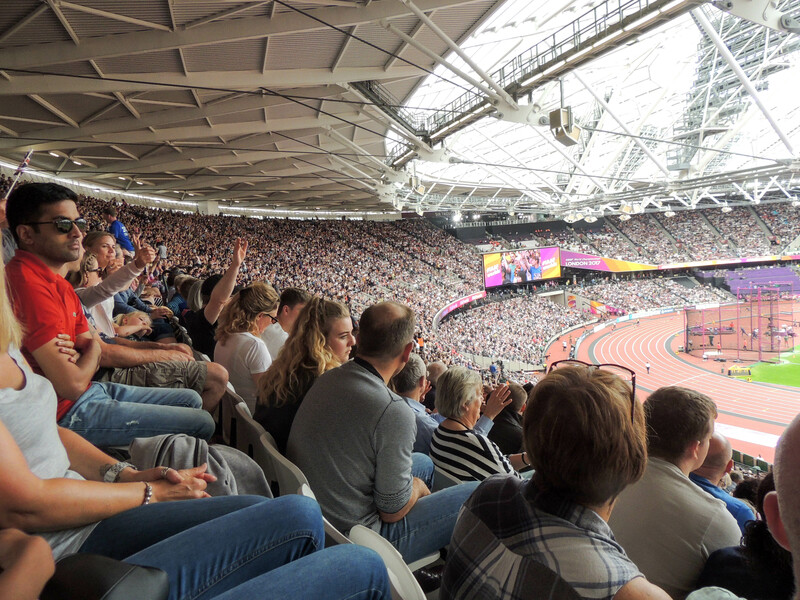 The afternoon at the London Anniversary Games continued with a para-athletic 200 metres for men and a Women’s 400m Hurdles. The Women’s Javelin competition was partially hidden from our sight by a scoreboard and all we really saw was the Javelins appearing from behind it to arc into the centre of the field. 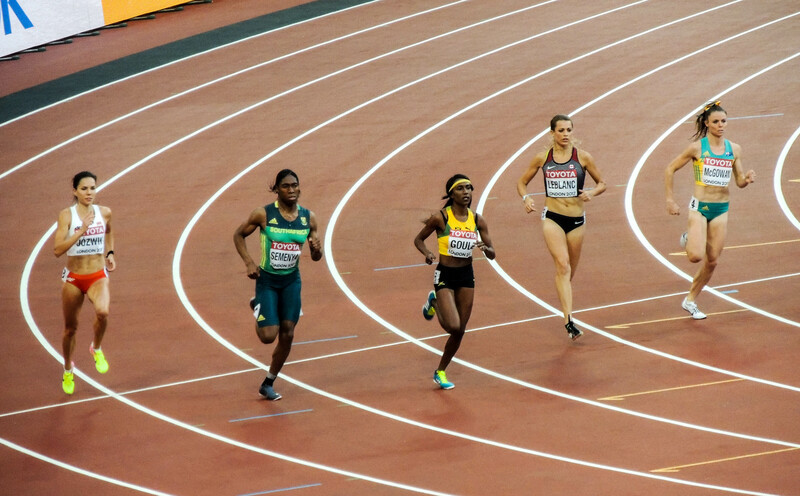 Then followed the heats of the 100 metres, first for the women and then the men. 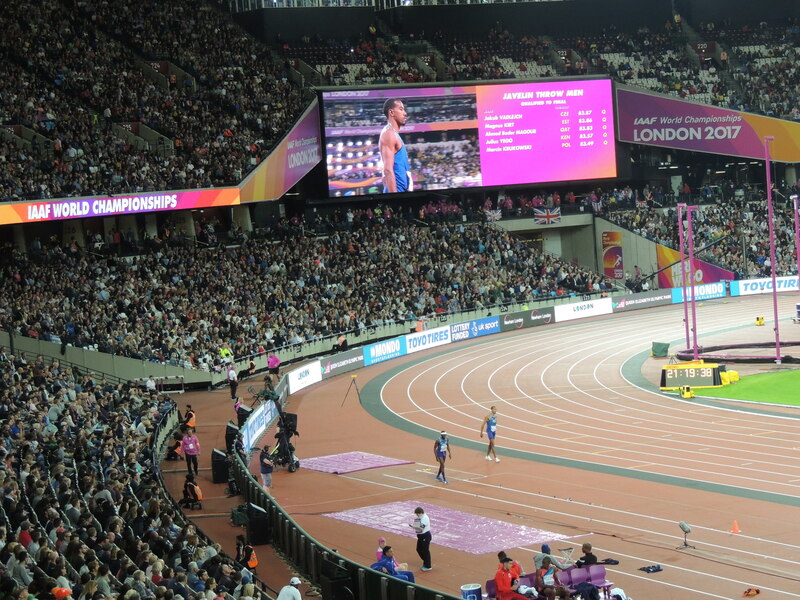 In front of us was the Women’s Long Jump, which included the UK’s talented trio of jumpers, Lorraine Ugen, Shara Proctor and Jazmin Sawyers, who are all currently in the world top-10 this year, plus the World Indoor Pentathlon Champion, Katarina Johnson-Thompson. The competition was won by Shara Proctor with Lorraine Ugen in second and only a few centimetres between them. 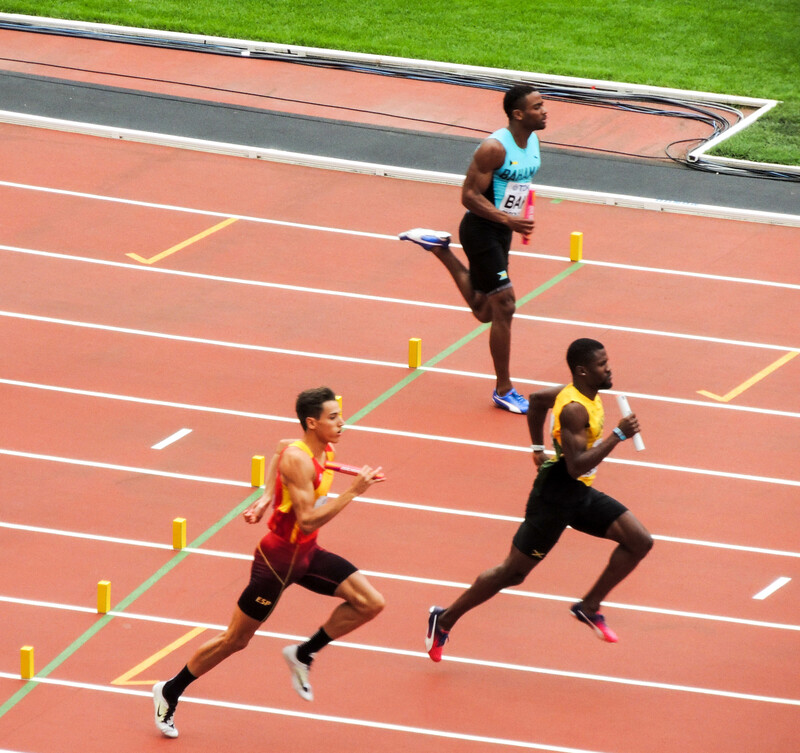 The Men’s 400 metres followed and was won by Abdalleleh Haroun of Qatar, who came from no-where on the last straight to storm past the leaders. After this was the slightly more sedate pace of the Men’s 5000 metres. 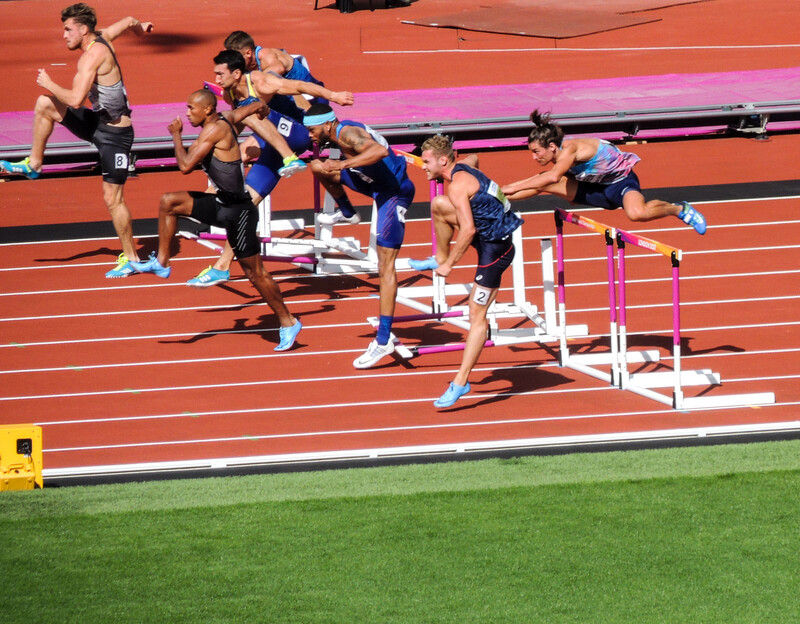 In the Men’s 400m hurdles Karsten Warholm of Norway won, but worryingly from a UK perspective Jack King landed badly from a hurdle and appeared to injure himself. Not what you need a few weeks before a major championship. 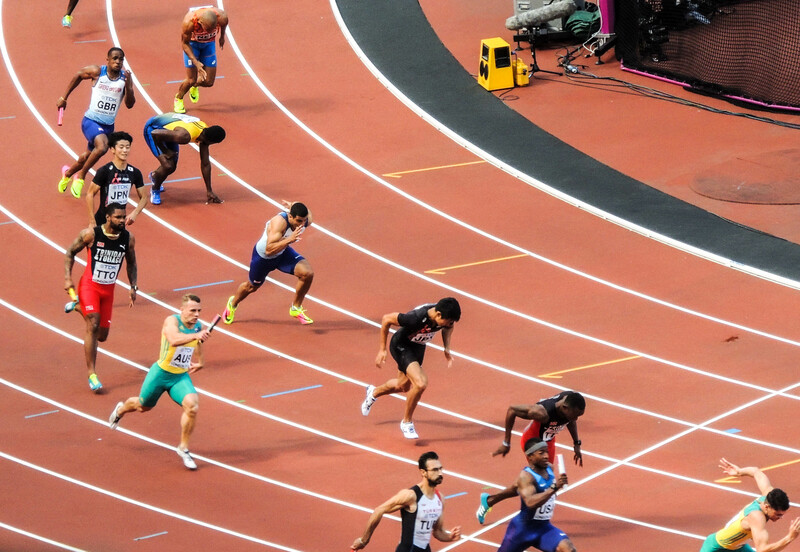 The final events of the afternoon were the Men’s and Woman’s 100-metre finals. A great afternoon of athletics. 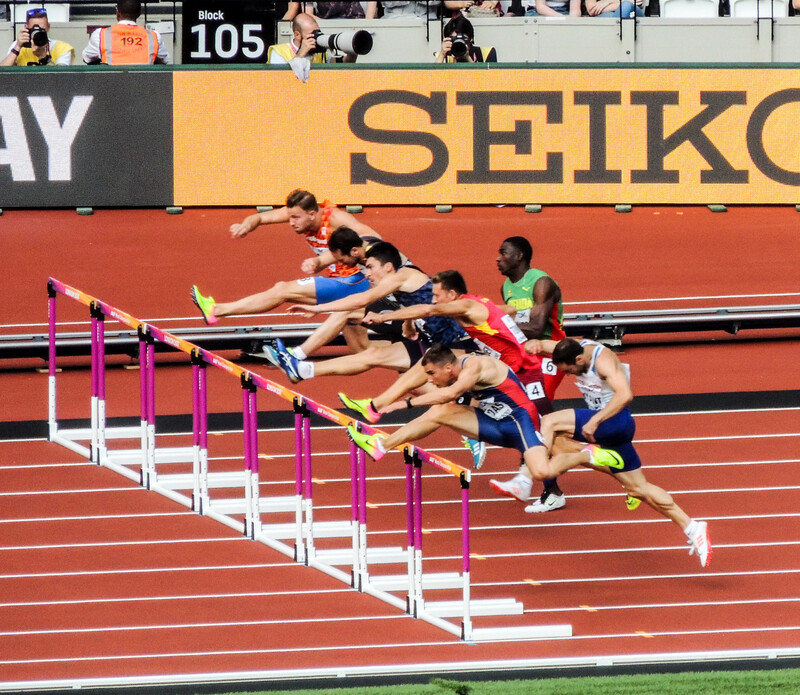 The first event was a men’s 400 metres race for UK runners which was interesting in that the runners were competing for places in the 400m relay team at the European Championships to be held n Berlin in 3 weeks time. 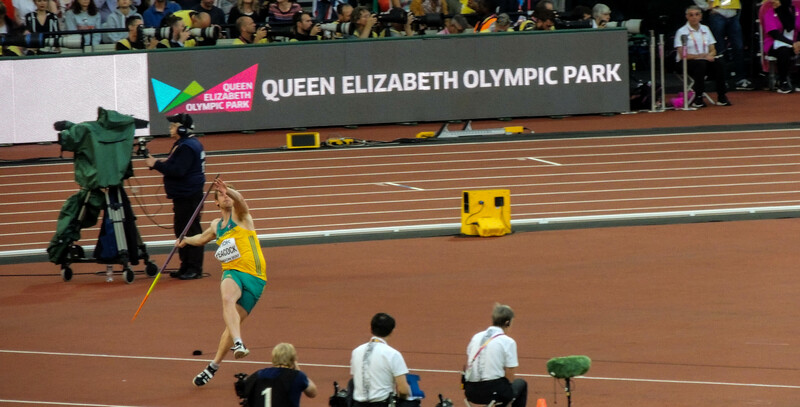 The next event was the T44/47/T64 Women’s Long Jump for jumpers using a single leg blade. The winner was the British World Champion in this event, Stef Reid. Back on the track, another UK athlete was winning, this time in the 3000m walking race. 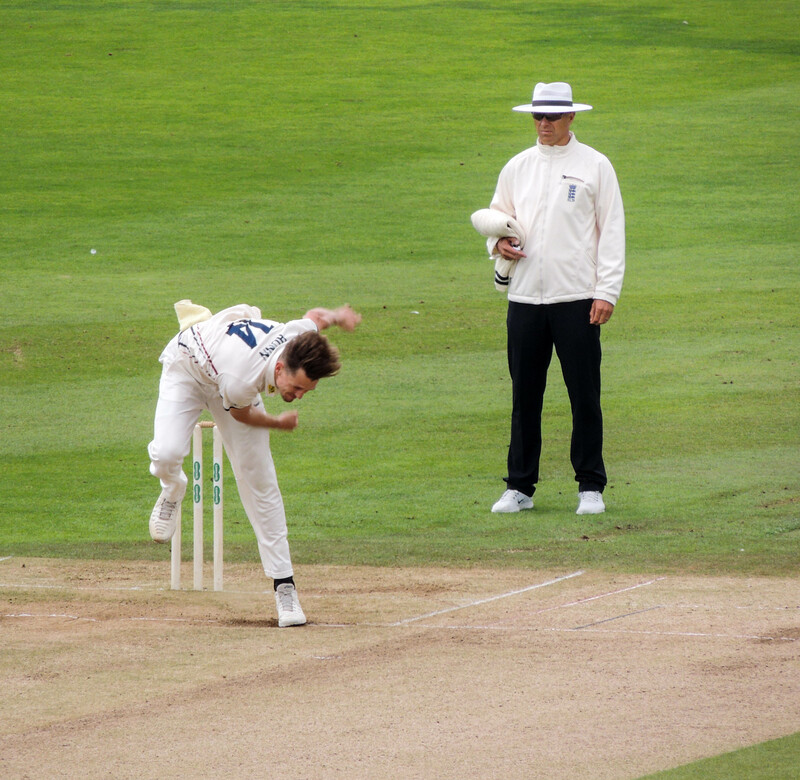 Tom Bosworth set a new world record in winning this event. 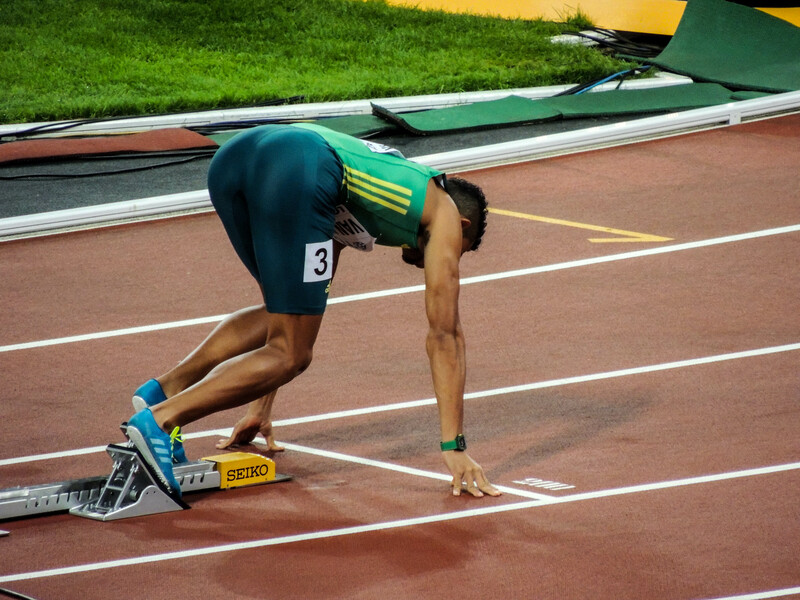 The events were coming thick and fast now and our attention was drawn away repeatedly to the Men’s Pole Vault at the end of the stadium, where a truly world-class field was competing including Sam Kendricks (World Champion), Renaud Lavillenie (World Record holder and Olympic Champion 2012) and Thiago Braz (Olympic Champion 2016). Who said that man can’t fly? 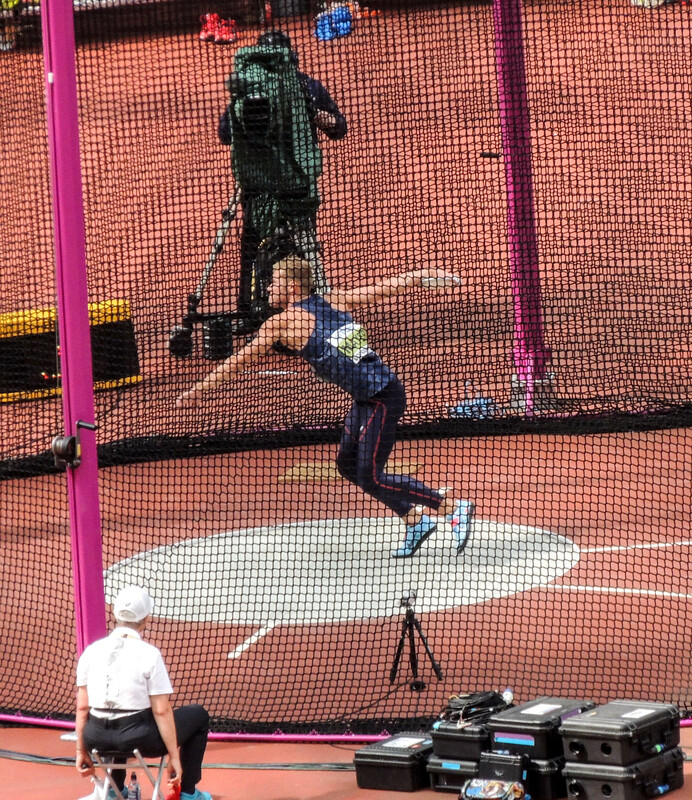 In the end, it came down to Lavillenie, who had led throughout, and Sam Kendricks, who eventually beat him by clearing their final height on his first jump. 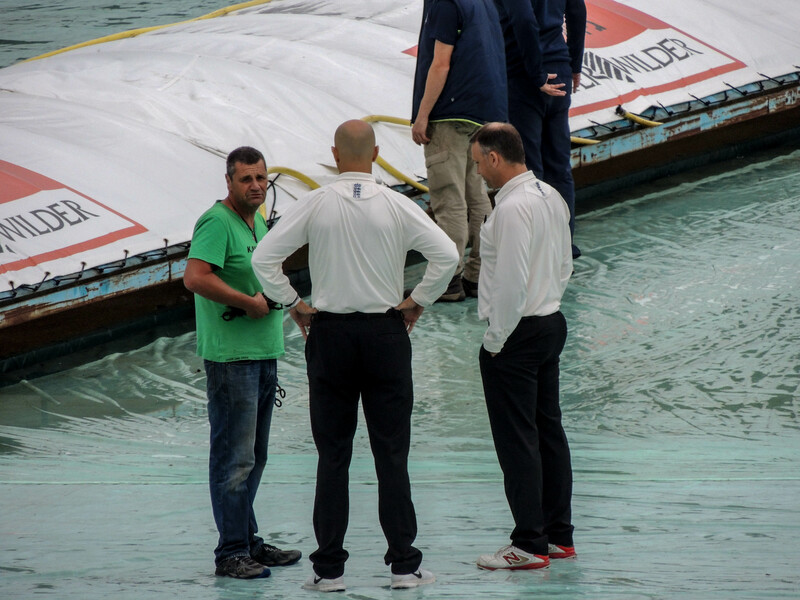 The next event on the track also was intriguing, if for a strange reason. 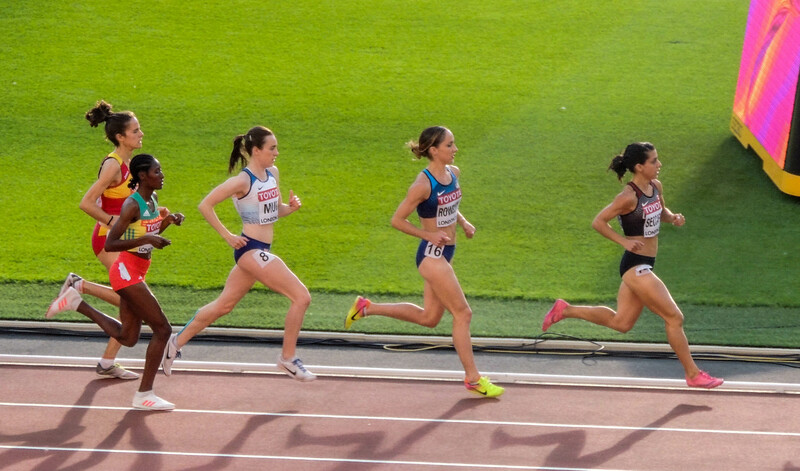 The women’s 3000m was going along as expected until the last lap when the leader, Fantu Worku, stopped running with half a lap to go and then looked on bewildered as everyone else kept running past her. 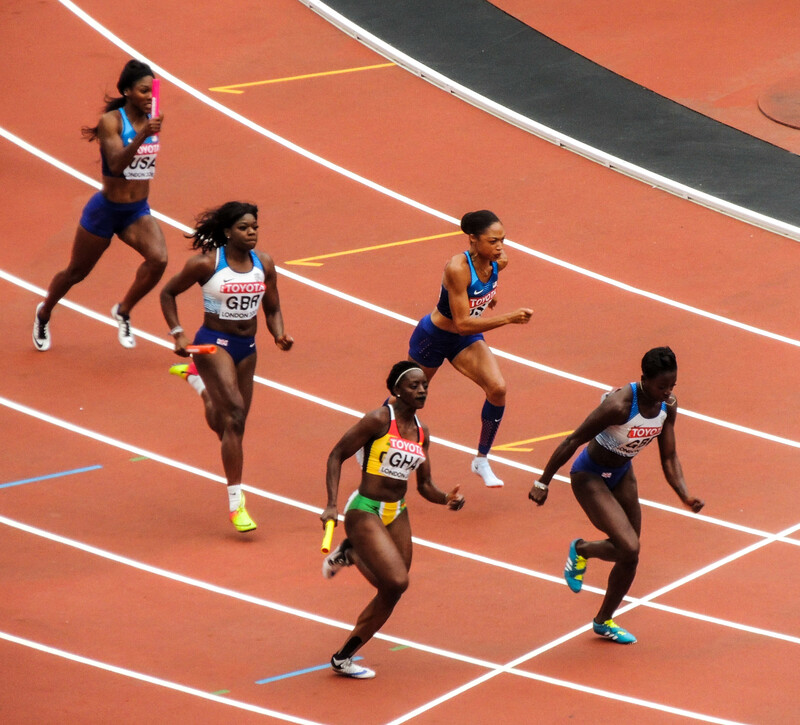 Watching it back on TV later, the commentators thought she had lost track of her position and believed that she had already crossed the finish line (see https://www.bbc.co.uk/sport/athletics/44912045)! Worku passes Rengeruk on the back straight shortly before she stopped running. Sue and I were back at the IAAF World Athletics Championships over the weekend. 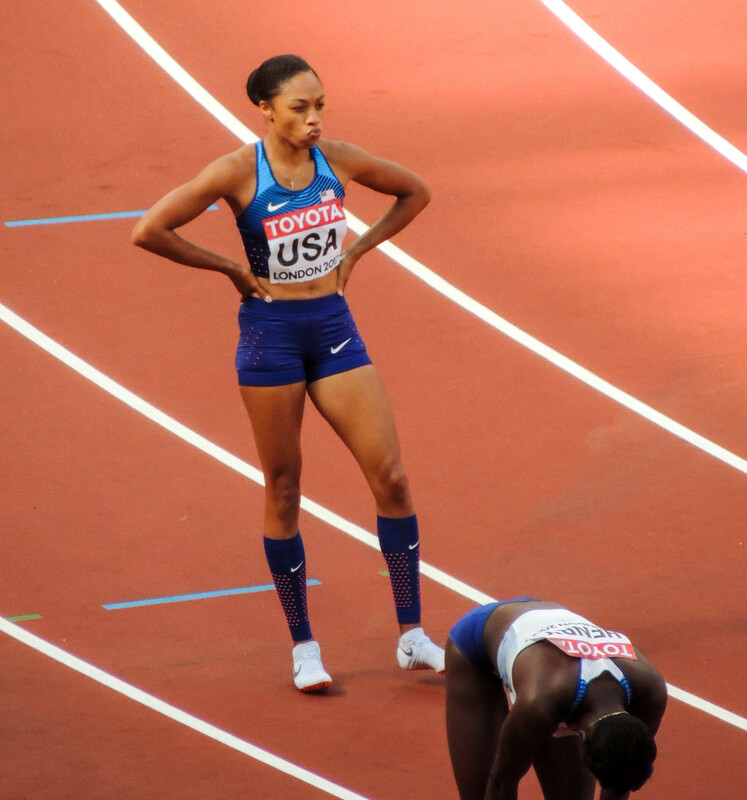 Changeover for USA and GB teams in women’s 4x100m relay heat – both qualified for the final. Jamacia leads out in men’s 4x400m relay heat. Kevin Meyer of France in the Discus section of the men’s decathlon. I imagine this is not what the organisers had in mind for the Long Jump pit. 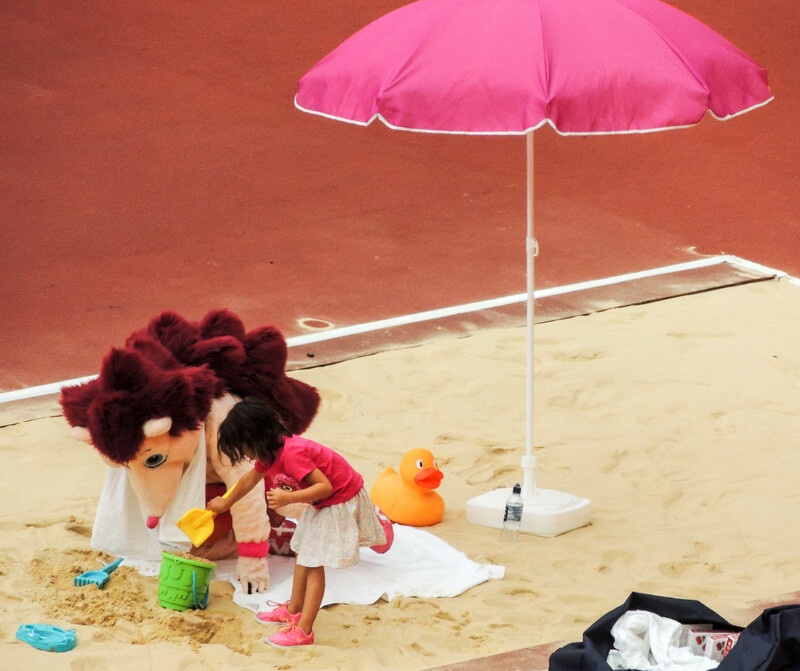 Hero the Hedgehog and friend enjoy the sand. 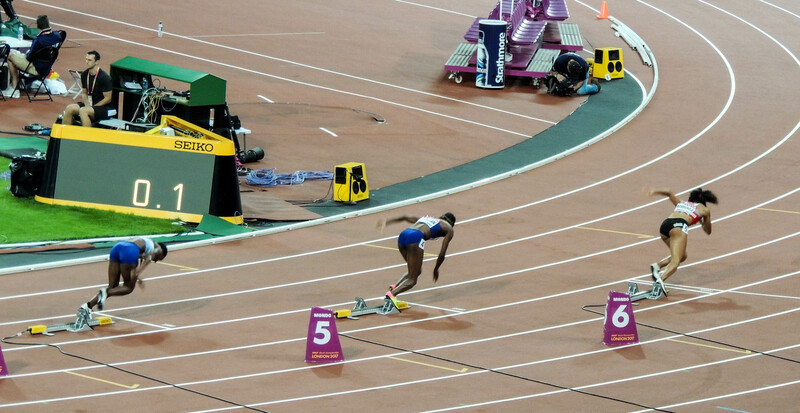 Sue and I went to the World Athletics Championships last night at London’s Olympic Park. 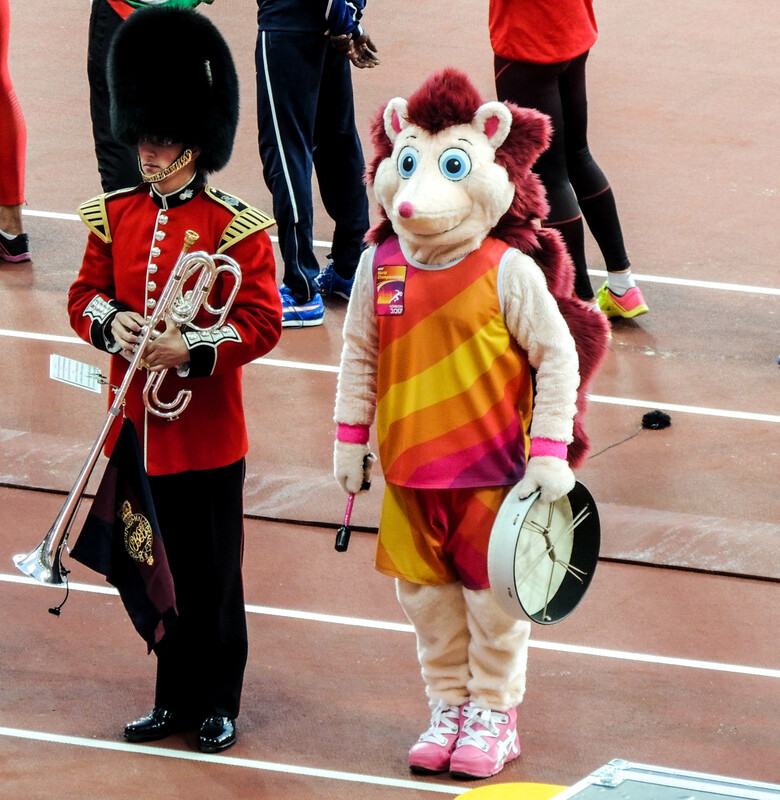 Hero the Hedgehog joins the fanfare band. 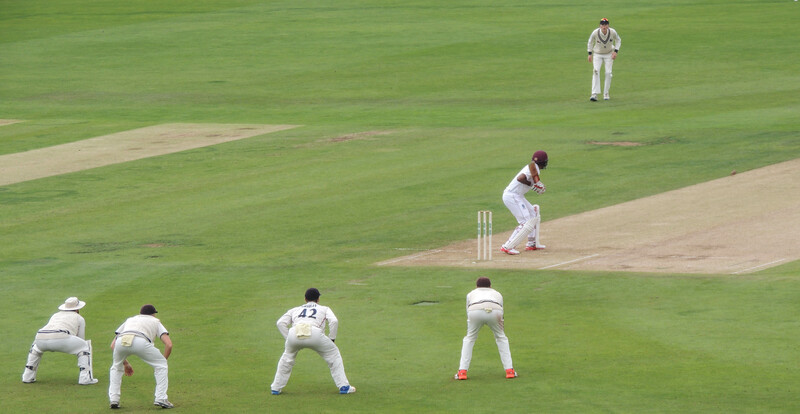 For our second cricket trip of the summer Keith and I chose to go to Canterbury to see Kent play the West Indies international side in a preparation match for the test series against England. 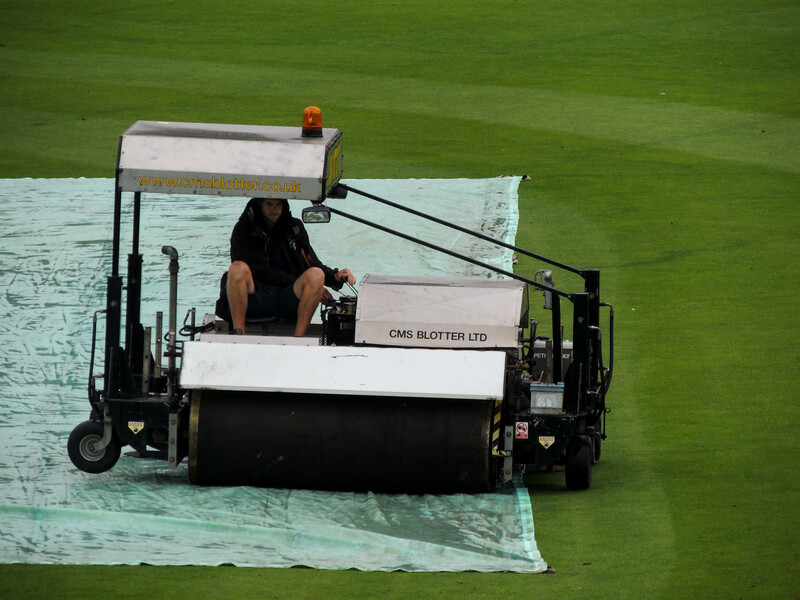 It would be fair to say the weather was very different to our recent trip to Beckenham! 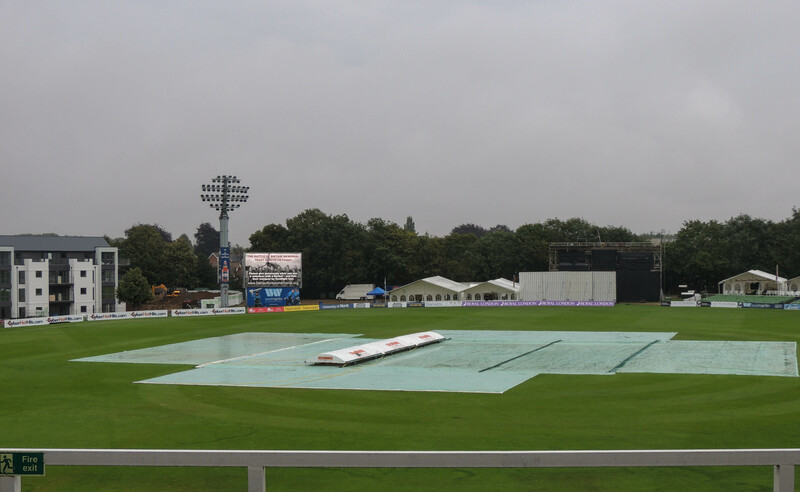 The Canterbury Ground at the time for play to start. 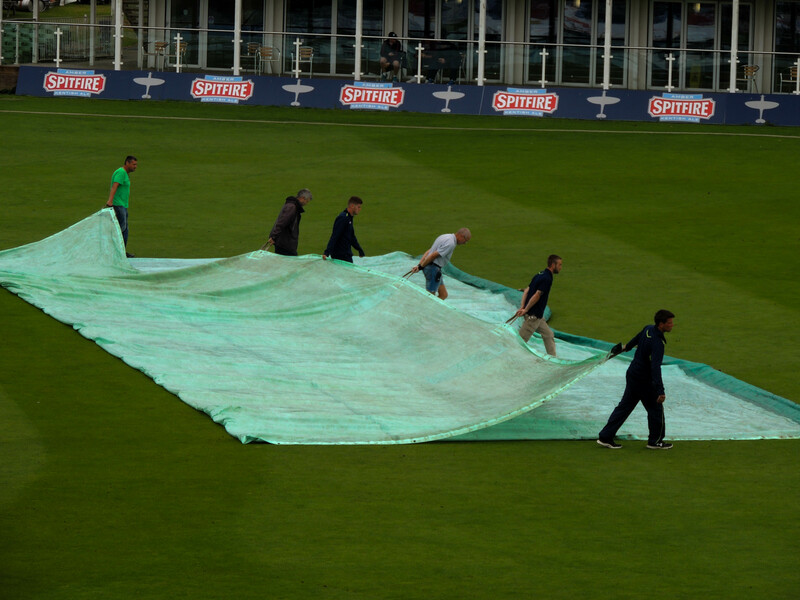 Will there be play? 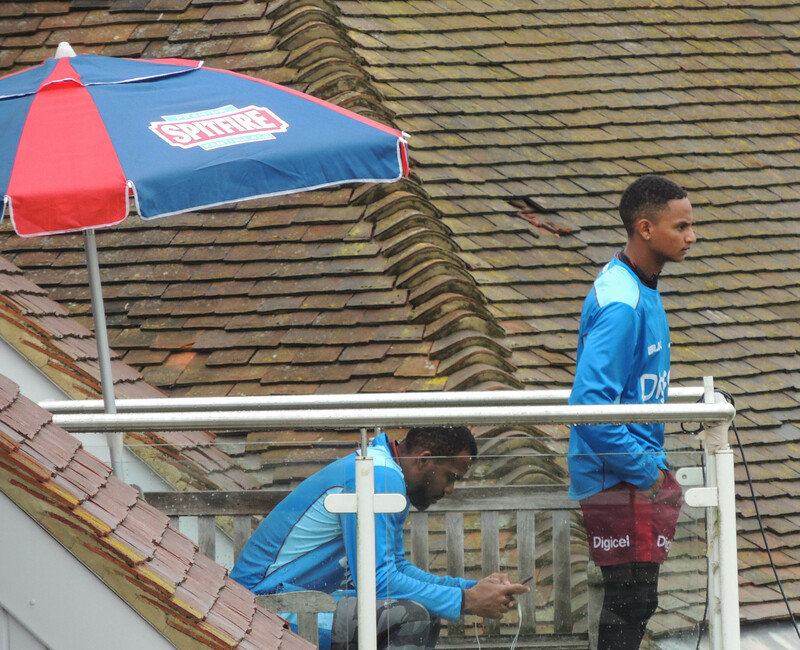 A West Indian cricketer contemplates whether he will get to bat. We are going to get play! 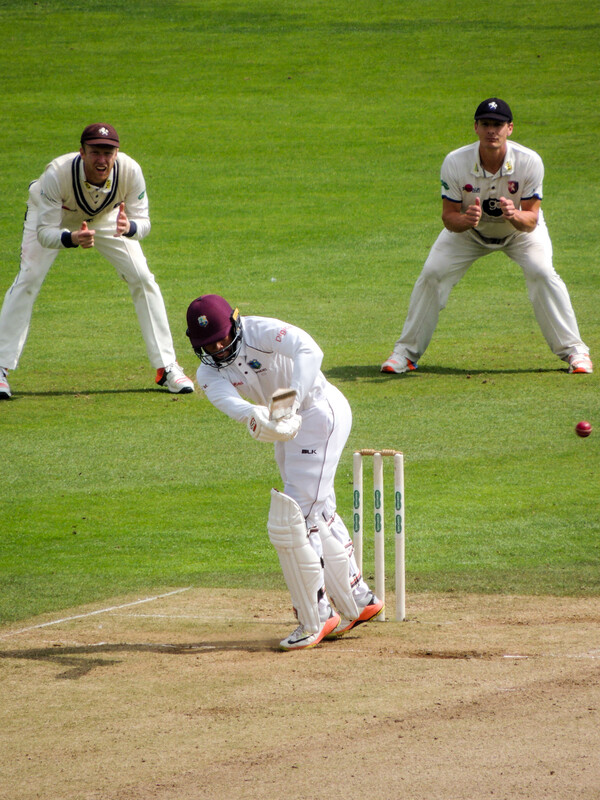 Shai Hope dispatches a ball to the boundary. 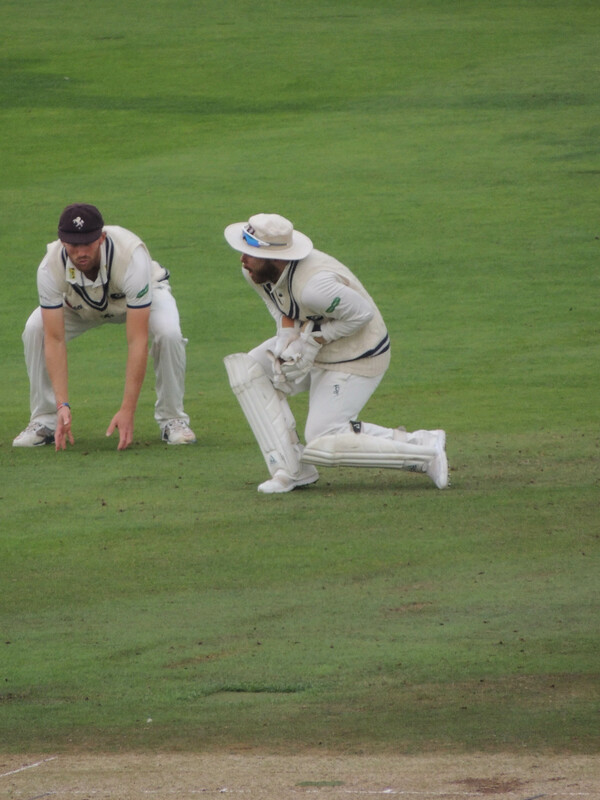 The rain did return a couple of times during the day, but we did get to see about 3 hours of entertaining cricket before the game was called off at 5 pm. Keith and I wondered why as the weather didn’t seem that bad at the time. We started the walk back to the station – about 20 minutes- and only just made it before a tremendous storm with thunder and lighting broke. Obviously, they had been warned this was on its way and we were grateful we left when we did rather than get caught in it!